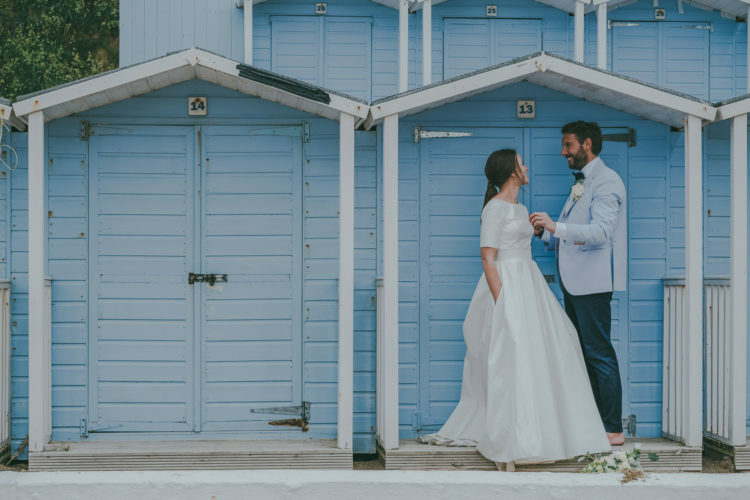 Gorgeous Emma and Scott decided on a coastal laid back, beach BBQ wedding in Cornwall, with their family and friends, let’s take a look at how they pulled it off. 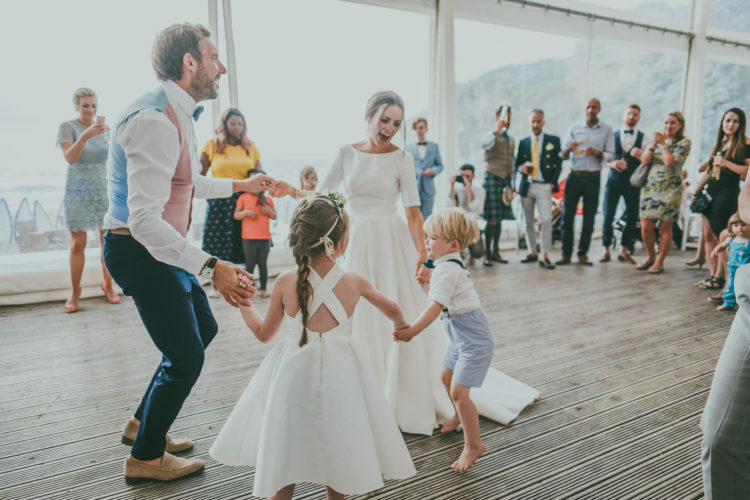 The couple wanted a laid-back informal day to have fun, party with friends, family and of course their children. 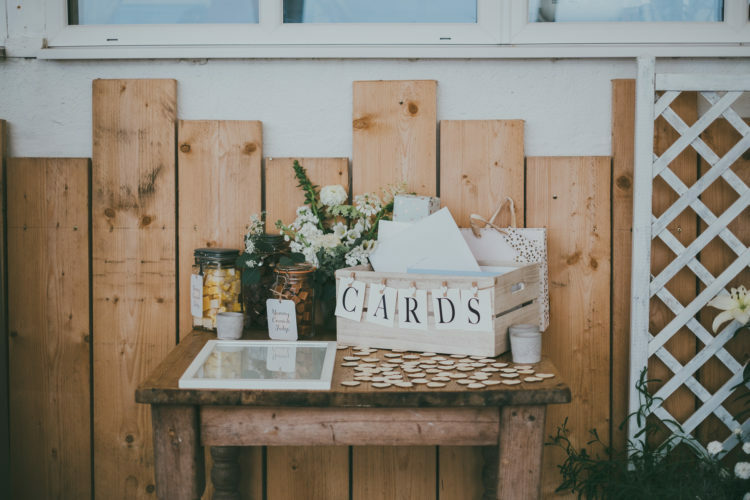 The date was set, venue booked, no need to search for caterers as Lusty Glaze venue provide all delicious catering in house. 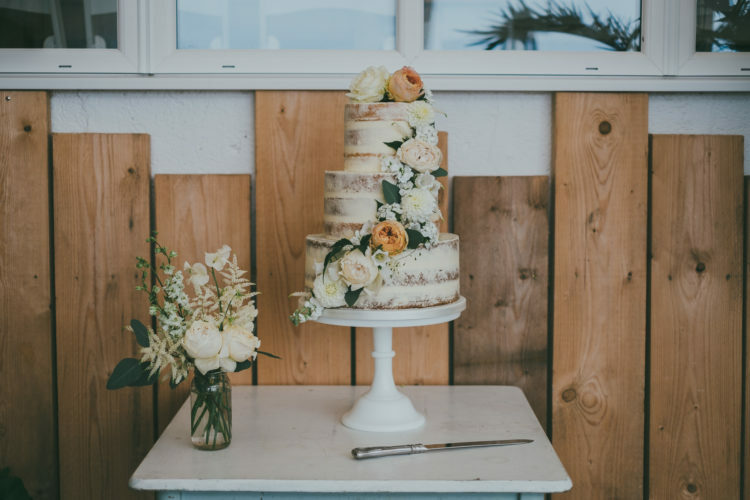 The food included a selection of potatoes, salads, pasta, vegetables and breads, and there was an endless flow of ice cream plus a gorgeous naked wedding cake. 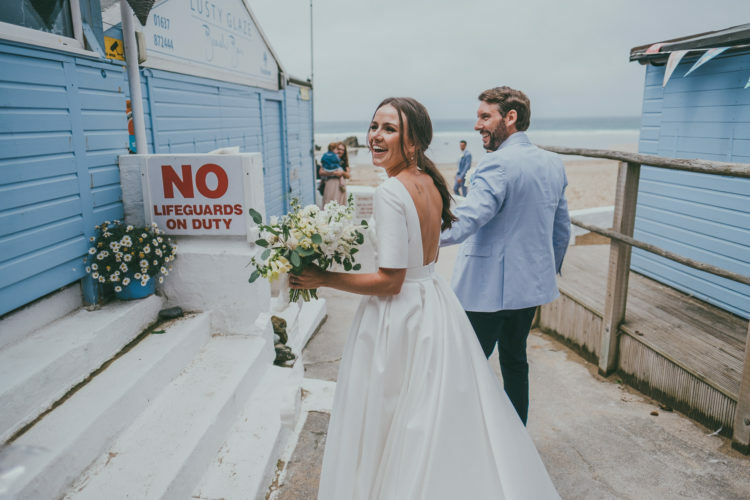 The decorations were kept to minimum, Lusty itself is a beautifully presented venue with the lanterns, twinkling fairy lights and most of all the stunning backdrop of the most gorgeous little Lusty Glaze beach. 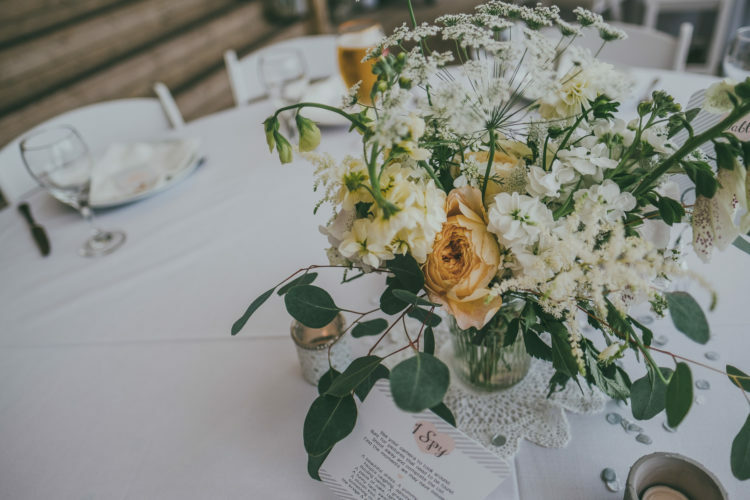 There was one little touch that was made by the bride’s Aunty Janet. Some beautiful vintage lace doily bunting. Aunty Janet, even popped down to the venue on the wedding morning to hang the bunting around the ceremony area. 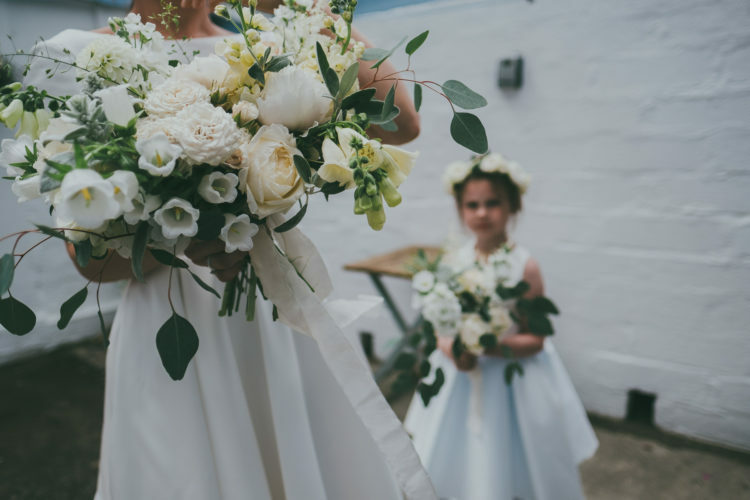 There were a total of 30 children at the wedding, with ages ranging from 18m to 9 years old. They were taken down onto the beach to explore, play games, paint pebbles and all kinds of fun things. The adults relaxed, enjoyed the food, wine and speeches. 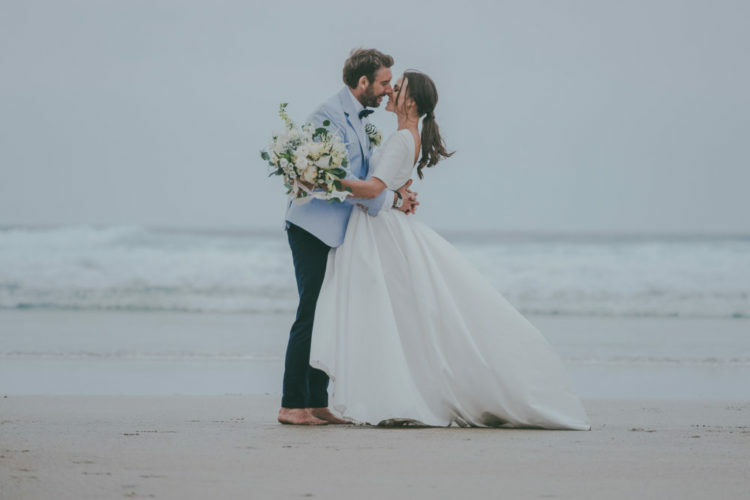 The bride was wearing a plain A-line wedding gown with a cutout back and long sleeves plus pockets. 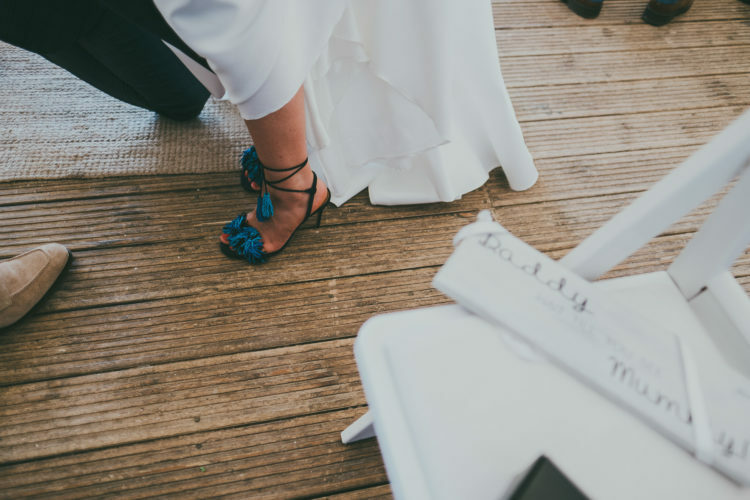 The wedding shoes were lace up blue ones with pompoms and tassels. She kept all her accessories to a minimum, even her hair, a simple curled ponytail. The groom was wearing black pants, brown shoes and a vest, a white shirt, a blue blazer and a bright bow tie.